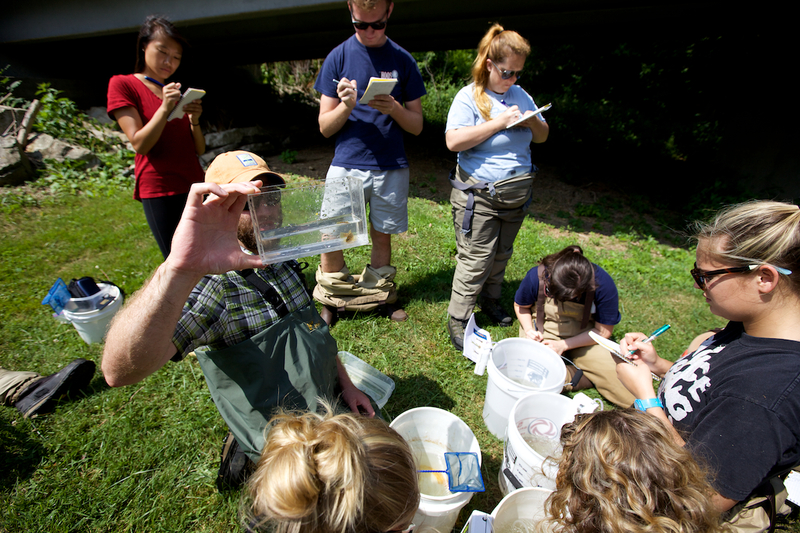 Course Fees & Information | Mountain Lake Biological Station, U.Va. UVA students may use the MLBS course application, or they can use SIS when Summer Session courses are posted. Non-UVA students must use the MLBS course application. What UVA requirements do MLBS courses fulfill? Laboratory requirement for the Biology major. Area 3 requirement for the Biology major. At least one distributional requirement for the Conservation Concentration. There is no course application deadline. Course registration is open until the course fills, and as late as the day before the course starts. Review of applications for course financial aid begins on March 15. If you are requesting financial aid as part of your course application, it is best to have your application in by then. See Financial Aid below. Enrollment is limited to 11 students per course. Registration is limited to one course per session. Participation in MLBS courses is not limited to current college or university students. All course applications require approval before Open Enrollment. UVA Summer Session defines course dropping policies and regulations. See Refund Policy below. Payment for tuition, room, and board must be made before the start of class. Students will receive information on how to pay through the Summer Session office. Purchase of text books and/or other course material (e.g. lab supplies) may be required. Tuition fees are set by UVA Summer Session and may vary from what is posted here. A $100 deposit for each course is charged as part of the board fee. SIS-enrolled students will see this charge posted to their student account. The deposit is non-refundable if the course is dropped less than 14 days before the start of class. Wait list students who have paid fees but are unable to get into the class will receive a full refund. UVA Summer Session defines all other tuition and fee adjustments and course dropping policies and regulations. Most courses are appropriate for undergraduate or graduate students and may be taken for undergraduate or graduate credit. Please contact the station if you have questions about prerequisites or course level expectations. Course numbers are set to accommodate graduate student participants and other university requirements. Do not assume you are not qualified. Course credit is usually transferable to other institutions. However, your home institution makes this decision. Check with them. Courses meet the lab course requirement in the Department of Biology at UVA, and satisfy at least one distributional requirement for the Conservation Concentration at UVA. Any exceptions or additions to requirements fulfilled by a course are indicated in the course description. You should confirm applicability of specific courses with the MLBS office and with your UVA advisor before registering. Students who wish to apply credit earned at Mountain Lake toward a graduate degree from the University of Virginia must be admitted to the graduate program at the University before enrollment in the course. Classes generally meet for lecture and discussion in the mornings and lab or field work in the afternoons. Class schedules vary, and while most course obligations occur Monday through Friday, instructors may schedule activities for any day or time during the session. Field courses can be physically demanding. Participants should be willing to embrace long hours out of doors, in sometimes rugged environments, and in all weather conditions. Students at Mountain Lake are considered students of the University of Virginia and are therefore bound by the University's Honor System. Students are responsible for knowing its content and are required to follow its procedures. Students must complete the"Field Station Risk Acknowledgement Application" (Liability Waiver) during or after the on-line application process, but before arriving at the station. Some course descriptions include this note: This course includes handling vertebrate animals (mammals, birds, amphibians, fish). When you complete the Liability Waiver, please make sure you answer "Yes" to the animal handling question. MLBS Scholarships are available based on academic record and need. Use the course application to apply for financial aid. A statement of need and letter of recommendation are required. Review of applications begins March 15. Awards will be made while funding remains available.